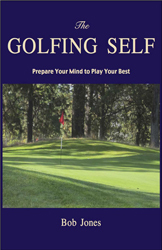 You might be losing three strokes per side because of unnecessary mental lapses in planning or hitting a shot. The Golfing Self gives you two simple exercises that are proven to develop your strength of mind to prevent this. You've never read anything like it before! Available in softcover and Kindle editions. Want to play better, but just can't find the time to practice? 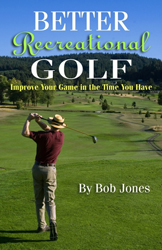 Better Recreational Golf shows you how to play a creditable game even if you're busy with family, work, and other interests. 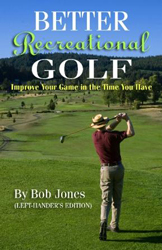 Shoot lower scores and have more fun! Copyright 2009-19, Bob Jones, All Rights Reserved. About Bob Send e-mail to Bob.